Remembrance Day Parade-638 Squadron will be participating in the November 11th Remembrance Day Parade in Pembroke. Cadets are to arrive at the Armoury at 0930hrs (9:30am) in full uniform (i.e. dress shirt, tie, tunic, parka, black gloves, etc…). All cadets must wear a poppy. New cadets who have not been issued a complete uniform are still encouraged to participate. They are asked to wear appropriate civilian attire and their cadet parka. Please see supply if you are missing any uniform parts. Following the ceremony at the Pembroke Cenotaph the cadets will parade to Branch 72 of the Royal Canadian Legion at 202 Pembroke St East. Cadets will be invited to enjoy a bowl of chilli at the Legion. Cadets will not be returning to the Armoury and will be dismissed from the Legion by 1300hrs. 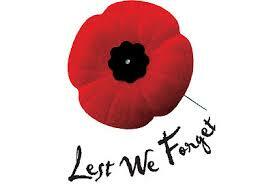 Cadets are not permitted to participate in any other Remembrance Day ceremony in uniform. They are welcome to attend their school or local community ceremony, but cannot do so in uniform. 638 squadron recognizes that this parade falls on a school day, however we do encourage all cadets that are able to participate. This is a great opportunity to display our numbers, while providing a significant community service.